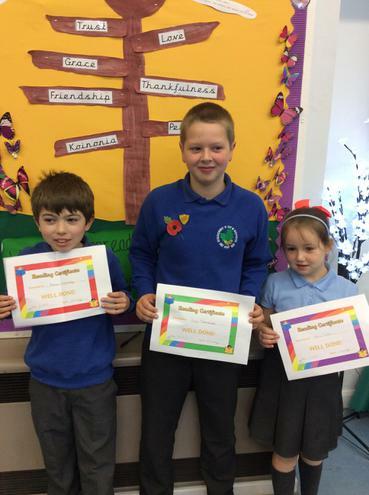 Reading Awards. Each week the children who have read the most outside of school are rewarded in our weekly celebration. Well done!